You can now preorder the 360fly 4k, direct from 360fly. The 360fly 4k is currently one of the few 4k 360 cameras that are waterproof. The preorder price is $499. The preorder comes at a key time, with the recently-announced delay of the Nikon KeyMission 360 which is also a waterproof 4k 360-degree action camera. With the Keymission’s delay, the primary competitor of the 360fly 4k would be the Kodak SP360 4k, which is also hemispherical and also waterproof, but includes stitching software and a special bracket to combine two units for a fully spherical image. There are some other 360 cameras with 4k 360 video capability but are not waterproof, such as the Samsung Gear 360 (splashproof) and Insta360 4k. 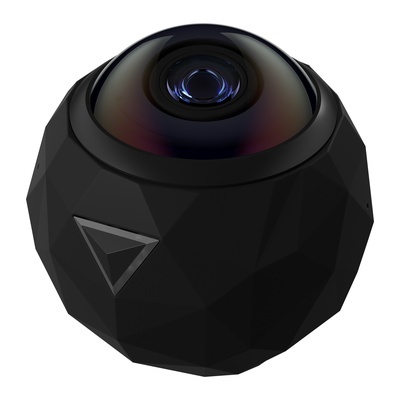 Other 360 cameras don’t have 4k capability nor are waterproof but cost significantly less and/or have a fully spherical view (such as the Ricoh Theta S and the LG 360 Cam). Finally, there are several low-cost 360 cameras from Chinese companies that are not waterproof but have a waterproof enclosure. Meanwhile, 360fly and BestBuy continue to sell the 360fly 4k’s predecessor, the 360fly HD.